DLA Piper overbilling: How did lawyers get such a bad reputation? Turns out lawyers have been hated a long time. One of the world’s largest law firms, DLA Piper, is being sued for overbilling, in a case the New York Times notes will not help the public’s low opinion of lawyers. Emails disclosed in conjunction with the suit show one lawyer describing another’s approach as “churn that bill, baby!” When did lawyers get such a bad reputation? The Middle Ages. In the days of the Greek and Roman empires, lawyers generally came from noble, wealthy backgrounds, worked for the public good, and were respected for it. It was often considered dishonorable to collect legal fees, and a lawyer’s skill was in his rhetoric rather than in his specialized knowledge of elaborate legal codes. Even when Emperor Claudius eventually permitted legal fees in Rome, he allowed only fees that were less than 10,000 sesterces—several years’ pay for a legionary, or only about a week’s earnings for some senators. After the Dark Ages, lawyers were required once again by the ever expanding labyrinthine laws of the Catholic Church, the most complex organization of the Medieval era. The church’s seemingly endless codes required specialized interpreters, but the lawyers were criticized for selling their God-given talents to the highest bidder. For this greed and “venality,” they were attacked viciously in morality tales and satirical poems. One medieval poet wrote, “They are no psalmists, but the harpists of Satan.” Others compared them to Judas, explaining that “he who sells the truth for money sells Christ, who is Truth.” Their venality was associated particularly with the their tongues, and in the moral spook stories called the exempla, their tongues were in turn blackened, torn from them, or, in one case, scorched by fiery horses and cattle stuffed into their mouths. In the 19th and 20th centuries, new epithets arose with which to disparage the lawyerly profession. In the 19th century, it became common to disdain insidious “shysters,” leeches who would defend even the lowliest criminals (at least until they ran out of money). (The term is sometimes thought to be anti-Semitic in origin, but its origins are unclear.) In the 1930s, Disney would even introduce the scheming lawyer character Sylvester Shyster, while at the same time the Marx Brothers created the titular law firm of Flywheel, Shyster, and Flywheel (1932-33). Around the turn of the century, the shyster was joined by a new scourge. In 1897 the Congressional Record reported that “in New York City there is a style of lawyers known to the profession as ‘ambulance chasers’, because they are on hand wherever there is a railway wreck, or a street-car collision.” The New York Times explained that the rise of the ambulance chaser was connected with the rise of “the automobile that slayeth in darkness and the trolley car that murdereth at midday.” Though some, like the self-avowed ambulance chaser Abraham Gatner, wore the label with pride, bills aimed at combating ambulance chasing were introduced as early as 1906. Bonus Explainer: What stops lawyers from overbilling? Their honor, theoretically. It’s generally impossible for the average client to know whether his or her lawyer is billing for unnecessary or unworked hours, so clients are expected to trust in their lawyers. For legal scholars, too, overbilling is difficult to study—lawyers may be asked to self-report whether they’ve been overbilling—but lawyers say that abusing client trust is rare. 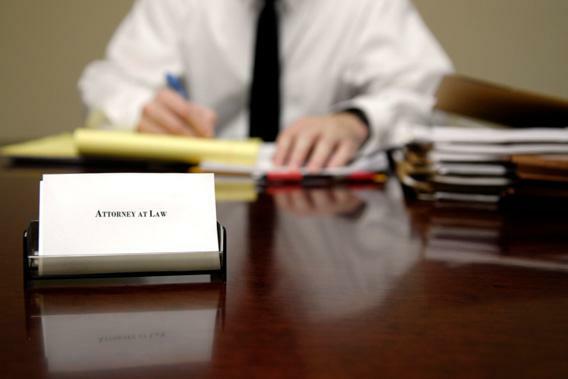 If caught, lawyers can face disbarment, suspension, or public censure from the bar, depending on the severity of the offense. They can also face lawsuits or serve jail time for fraud or theft. For example, in 2011, one Chicago lawyer who pleaded guilty to overbilling $2 million was sentenced to six years in prison. If clients suspect they’re being overbilled, they can contact—who else?—a lawyer. Explainer thanks Stephen Gillers of New York University.